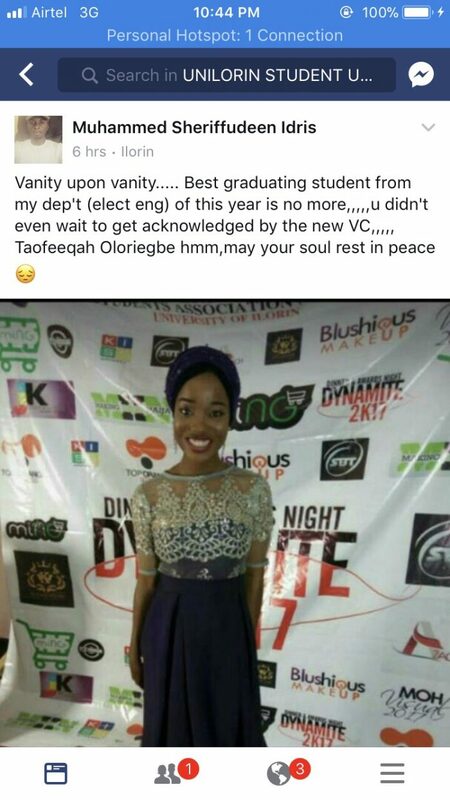 Oloriegbe Taofeeqah, the UNILORIN Electrical Engineering best graduating student died on 15 October 2017. 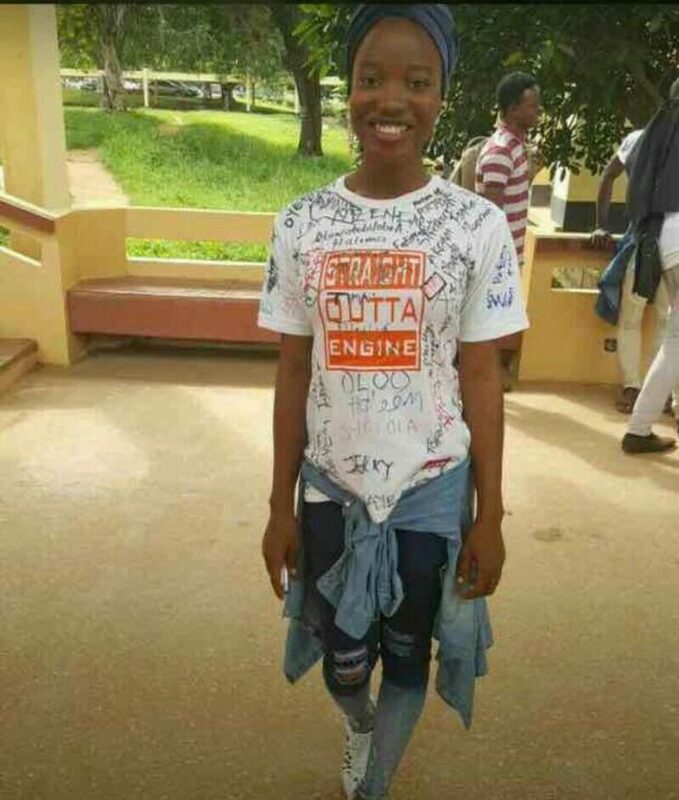 The beautiful geek died after she complained of a little pain in her hand, this catastrophic occurrence struck the whole UNILORIN. 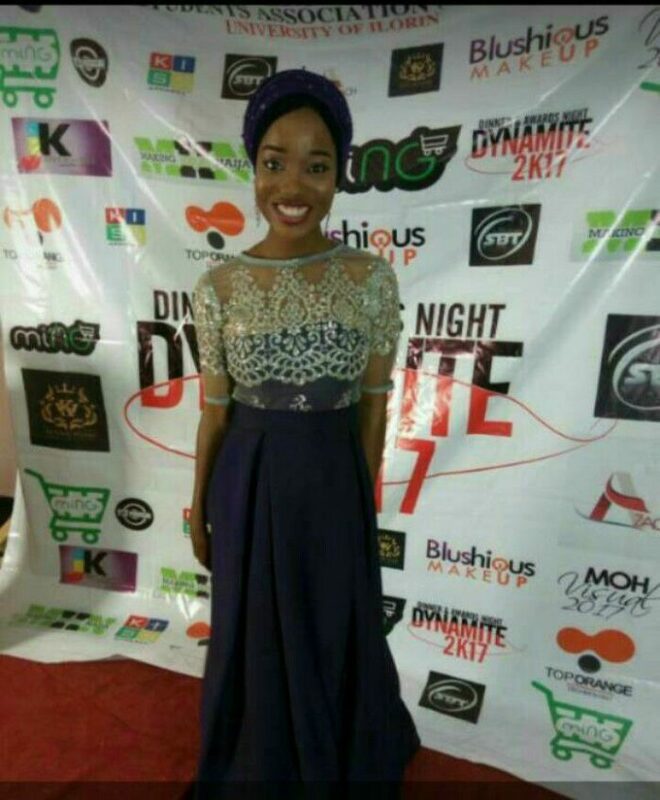 Not to be forgotten, she is suppose to be graduating from the university as the best graduating student from her Department on Saturday 21, October 2017. 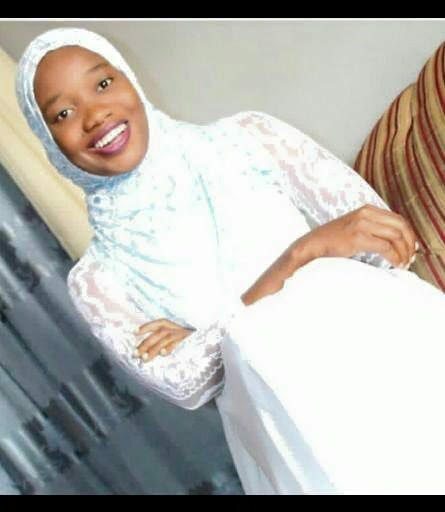 Meanwhile, her friends have taken to social media to express their bitterness. 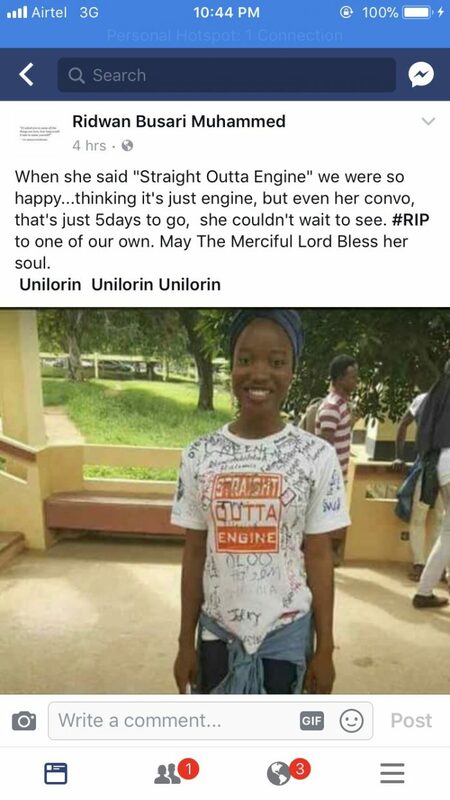 Kindly pray for the lost soul.